A lot has changed in the last several decades, even since AA became popular. It is now understood that people can recover in all different kinds of ways. In fact, the vast majority of my clients, all of whom win back their licenses, are NOT in AA. Many, if not most of them, may have been to some meetings in the past, but almost all of them got what they needed without having to sign up for the lifetime membership. Most importantly, even the Michigan Secretary of State accepts that AA is not necessary to remain sober, and is therefore not necessary to win a license appeal. Here’s one of the ways I’m different; I don’t just “know” this, I can explain the efficacy of all the different and various recovery methods, and how and why what works for one person may not be of any benefit to another. This becomes really important within a license restoration or clearance case, because proving that you are a safe bet to never drink again requires more than just promising that you won’t pick up. It’s important for me to understand what led up to that moment, and then to examine that moment itself in detail. What was it that tipped the scales in favor of a solid decision to not drink again? This is huge. This is the proverbial “epiphany” or “light-bulb” moment. Almost everyone who does manage to quit drinking for good has tried, at least to some extent, to cut down or stop in the past, without success. Some may have only attempted to limit or manage their drinking, while others may have gone weeks, months, or even years without picking up. Until they did. One important consideration here is that nobody, including and especially the state, believes that a person can go from having a drinking problem to being a normal social drinker. That’s like being “a little” pregnant. Sometimes, picking up again (i.e., relapse) can be the best teacher of all. Depending on the person, it can be anywhere from easy and natural to the hardest thing they’ve ever done to go from steps like those to actually quitting for good and staying sober. I want to analyze what made this one time so different from everything else, so that, in the blink of an eye, my client had finally had enough and was able to quit for good. One of the most clinically accepted explanations for this process is called “The Stages of Change.” I’m sure the reader will appreciate that I won’t detour into all of that, but the reason I bring it up in the first place is that by understanding how a person evaluates his or her problem, and then why, for some people, something just “clicks” and they make the huge, life-altering change to get sober, I can help explain their decision to get sober in a way that wins cases. 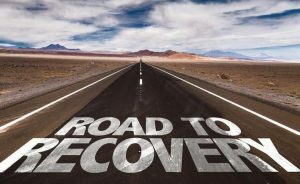 This is not just about me knowing terms and words that other lawyers don’t, it’s that I fundamentally understand recovery. I know that recovery is a process, that there are numerous such processes, and that among the lot, only 1 of them is ever “right” for any particular person. Joe Blow might do well in AA, Jane Doe might do better with individual counseling, and Sober Sam may remember just 1 or 2 things from some time he spent in AA years ago, but that may be enough for him to finally put the plug in the jug right now. Yet for all of that, real recovery, no matter how one gets it, has certain features that are almost universal. Being able to spot those things is even more important than just being able to detect when someone is BS-ing about being sober. Key to winning most license appeals is being able to “prove” that a client is sober, and likely to remain sober, especially in the absence of stuff like AA. There is nobody who is genuinely sober who wouldn’t agree that his or her life is profoundly different than it was back when they were drinking and/or using. Moreover, sobriety is qualitatively different than mere abstinence. Anyone can stop drinking or using for a time, but when a person really quits for good, his or her whole life, and outlook on it, changes, and all for the better. People who are merely abstinent from alcohol usually stop drinking because they fear getting in trouble. If they stop drinking under threat of divorce, they’ve only “quit” for someone else. Fear of negative consequences from drinking is what keeps them from picking up. Those who are really sober quit for themselves, and, if you ask why they won’t pick up again, they won’t answer by first listing all the bad things that can happen if they do. Instead, they’ll usually talk about all the good things that have happened since they quit. They’ll explain how much better they feel, how they’ve ditched the drinking friends and have a smaller, closer circle of real friends. They’ll go on about how they’ve regained the trust and respect of their family members and the people who really matter. You’ll hear about how sobriety has brought about good things to their lives. Interestingly enough, for lots of sober people, getting their license back is often the last piece of the puzzle to be put in place. For my office, knowing recovery means we know whose license appeal case to take, and whose to decline, at least for the time being. It means knowing that we know enough to guarantee a win in every initial restoration or clearance appeal we file. In DUI cases, it means knowing how to help, and that being helpful sometimes requires nothing more than just being there and being willing to help. If you need to win back your driver’s license or are facing a DUI, be a good consumer as you look for a lawyer. Read what various lawyers have written, and how they explain things. Read around, then check around. All of my consultations are confidential and done right over the phone, when you call. We’re really friendly people who will be glad to answer your questions and explain things. You can reach my office Monday through Friday, from 8:30 a.m. until 5:00 p.m. (EST) at 586-465-1980.